So Chickens, where do you fall out on the whole Molecular Gastronomy thing? Pro or con? Cutting edge cuisine, or elaborate hoax? For me, I am pro, but with some caveats. As with any style of cooking, it is about elevating the ingredients. Sous vide cooking, very low constant temp immersed in circulating water, for example, can make a short rib both meltingly tender AND perfectly medium rare, heretofore impossible. So if someone has that on the menu, I am in. The ability to manipulate texture, especially in contrasting temperatures, is very interesting and when done well, can enhance the experience of eating a dish. The classic El Bulli trick of taking the purest essence of olive and sperifying it so that it LOOKS like an olive, but explodes in the mouth with olive flavor is exciting, and works with the food. HOWEVER. The people who just put foam on everything like a garnish of cat gack, the people who are more concerned with showing off knowing a technique than they are with the food, that I find annoying. There are many many fewer people doing Molecular Gastronomy WELL than one might imagine from the preponderance of powders, liquid nitrogen ices, and caviar-ed EVERYTHING that pop up on menus everywhere. But like many other trends and techniques, I had never had much desire to "try that at home". My parents will remember cringingly my unimpressive C- in high school Chemistry. And I don't want to fuss that much over my food. But there is something to be said for the proverbial gift horse. Culinary Imports sent me some of their products to play with, and I have to say, it can be fun, and there are some applications for the home cook. The main thing I find cool to work with is that sperifying effect, making "caviar" is actually pretty cool, and they feel fun to eat. I'm a bubble tea kind of girl anyway. And I miss Freshen Up Gum. 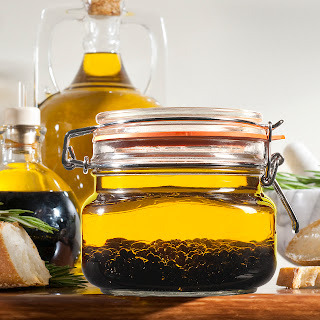 This is Balsamic Vinegar "caviar" floating in olive oil. An enormously fun way to re-imagine a caprese salad for a dinner party, instead of dousing your beautiful white cheese with liquid, strewing these glistening dark balls over the top is both show-stoppingly gorgeous, but also makes the experience of the salad new and fun. Ditto over strawberries or vanilla ice cream for an elegant and unusual dessert. Our best applications were for cocktails, for which we enlisted our best mixologist pals, C&H. The caviar trick allowed us to add a punch of flavor without diluting the original drink. Since we are on such a Negroni kick, we made some Aperol caviar (a bitter liqueur) and floated them in our classic Negronis. The drink remained the same, but now and again with a burst of extra flavor, totally fun. Frankly, a lot of the rest of it, foams and gels and glow in the dark and DIY pop rocks...it is a bigger pain than it is worth for the kind of cooking I do. But I will give Culinary Imports a lot of credit, they have made the process MUCH more accessible for people who do want to play at home. They have worked to make the chemistry easier, with a measuring system that doesn't require a scale or an advanced degree. Their kits come with everything you will need and recipes to start you off, which make them a potentially awesome gift for the uber-foodie or mixologist on your list. Not at all interested in food-science projects? CI will not leave you in the cold. Perhaps their single best product? Pumpkin seed oil. This bright green oil has a mild nutty flavor that is really delish! We tried a riff on pesto, replacing the traditional basil and parsley with arugula and mint, and replacing the olive oil with pumpkin seed oil...fantastic. It works very well on salads, especially grain salads like wheatberry or quinoa. And it is very good for you. And Culinary Imports wants one of you to try it for free! Yep, they have donated a 16 oz bottle for one of my fabulous Chickens. SO...comment below with your opinions or experiences with Molecular Gastronomy, pro or con, or a tale of what you want to make with Pumpkin Seed Oil, and one of you chosen at random will get this prize. Winner announced next Monday. 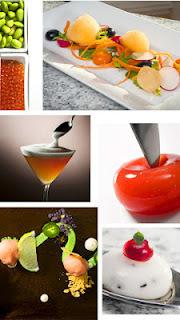 Honestly, my experience with Molecular Gastronomy is mostly limited to what I see on top chef. If it enhances my food, I'm all for it. Small touches that add visual appeal and give me a little surprise are welcome. But a plate of foam meant to represent pork roast? no thanks. I want pig and veggies on my plate! 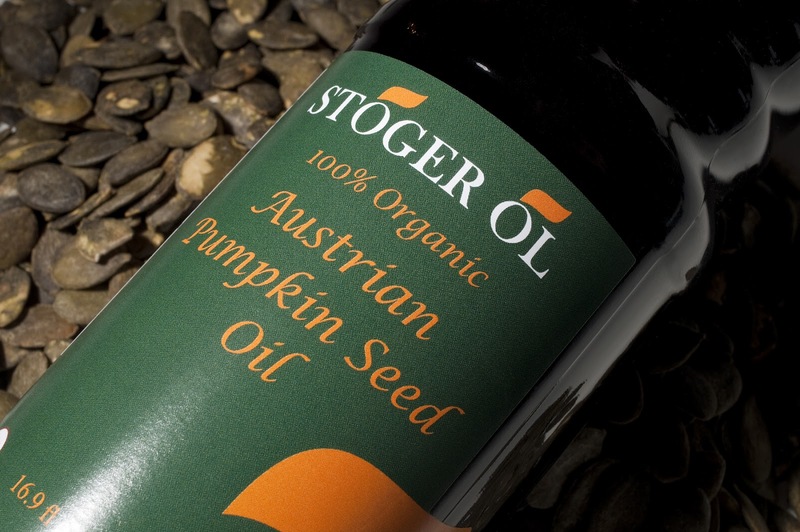 The pumpkin seed oil sounds so interesting! I am watching my carb intake closely and have been replacing starchy veggies with salads. I'd love to try a vinaigrette... I'm always looking for new vinaigrettes to add some zip to my salads! I have only witnessed Molecular Gastronomy through Top Chef a few seasons back, and while I was kind of curious about the technique, I found it mildlly annoying that one of the chefs (Richard something) seemed to insist on incorporating it into each of his challenges (or at least that's my recollection). I respected that that is his background, but it seems, as you suggest, that the technique works better in certain situations and with certain foods than others, and other times it was more of a stretch. I'd definitely be curious to try it sometime, though, well executed! Uh, do I sound like a dork, or what...I only knew about it via Marcel's Quantum Kitchen that I happened to catch a few times (every episode). And it looked really cool and made me interested in enjoying this at some point in my life...But here in little ol' Alabama....yeah right! The Pumpkin Oil sounds AMAZING. I drool at the thought of all of the possibilities. Over the salad, as a dip, on a roast. Oh my! I am also "pro, but with some caveats". I view cooking as an art and Molecular Gastronomy as an extension of that. There is nothing better than sitting down to a meal that is tasty, aromatic, and visually appealing all at once. However, that doesn't mean I have to like everything. I might swoon at a Monet or enjoy a Warhol, but never learn to appreciate a Caravaggio. Likewise, I doubt there is anything anyone could do to a pea to make me appreciate it. Mmmmmmmmmmmm roasted pumpkin seeds. Made into oil?!? Wonderful. I fall in the same category as you. 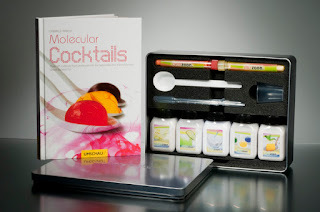 I don't mind molecular gastronomy, but I do think it can be overused. I've never had the pleasure of going to Alinea, but it is on my restaurant bucket list, as is Grant Achatz's new restaurant, Next. I'm a huge Top Chef fan, so I can see how molecular gastronomy is over used. Marcel, anyone? Yet, I can't help but think Nathan Myhrvold's "Modernist Cuisine" cookbooks would be an amazing thing to peruse. I am dying to try out the pumpkin seed oil as well. I just received this month's issue of "Everyday with Rachael Ray" and there was an article about how to use different oils besides EVOO. Pumpkin seed oil was featured in that article! I too have only seen it in Top Chef. I personally think the foam looks spit. I would use the Pumpkin Seed Oil in a grain salad and pesto. I've never encountered molecular gastronomy in person, but gee whiz, "garnish of cat gack" just makes it sound so darn appealing!!! In all serious, the beads of flavor you describe sound amazing, and I've read Jen Lancaster's account of her and Fletch's first experience with molecular gastronomy, which sounded fun. So I'd be open to it, if we could avoid something that looks it squirted out of my cat. I have to say I'm fascinated by liquid nitrogen. Maybe it's the instant frozen gratification? Pumpkin seed oil sounds great in a spice cake. I'm very appreciative of the creativity and originality that can be found in molecular gastronomy, but not so sure my appreciation would translate to an enjoyment of eating meat-flavored foam. Reading a book recently, I kept thinking to myself "Yes, it's complicated, and there are levels upon levels of connections - but just because it's hard, doesn't make it smart. Just because someone put a lot of thought into it doesn't necessarily make it good." I have a strong suspicion I would feel the same way about a lot of molecular gastronomy - particularly the people doing it just to do it. I am certain there are true talents doing it absolutely right, see Grant Achatz, and I hope to have the opportunity to experience that someday. Pumpkin seed oil – yum! I would have to find a way to work it into some type of autumnal pasta dish. Pumpkin ravioli, maybe…? Ok well I am totally clueless at this molecular gasstronomy cooking. My son recently gave up meat and I am having to find new foods and ways to cook them. Also trying to keep it semi healthy. I have never seen pumpkin seed oil but I am totally intrigued by the possibility of the flavor and benefits that it would provide.